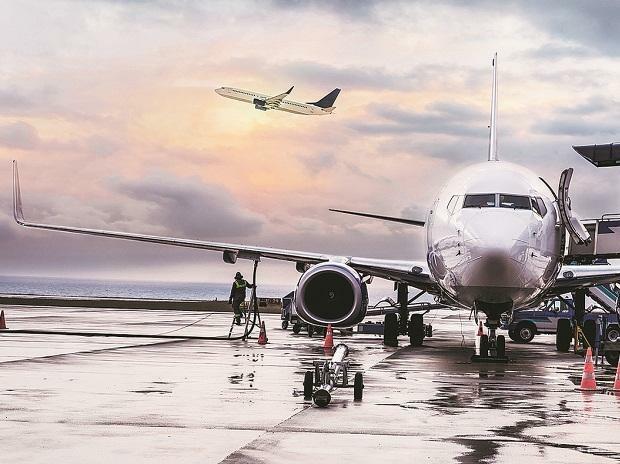 The escalation of military tension between India and Pakistan is set to have an adverse impact on the aviation industry, which is already under stress. Wednesday’s decision on closure of airspace in Pakistan and parts of northern India will force airlines to cancel or divert some flights, thereby pushing up cost. As Pakistani fighter jets targeted Indian establishments across the Line of Control (LoC) on Wednesday, the Western Command of the Indian Air Force asked airlines to stop operations to several airports, including Srinagar, Jammu, Leh, Pathankot, Amritsar, Shimla, Kangra, Kullu Manali and Pithoragarh. While more than 30 flights were cancelled from the closed airports, around 47 of them were affected from the Delhi airport. ‘’As the initial notice had indicated a month-long shutdown, we had decided to close sales for these airports. Overall, it’s a massive revenue loss and operational hiccup,” said an airline executive. However, low-cost carriers IndiGo and SpiceJet said cancellation charges to these airports had been waived till March 31. For Air India and Jet Airways, an airspace closure over Pakistan would mean their flights to the US and Europe will have to take a longer route. That will stretch the travel time by almost two hours. “Our flights to North America from Delhi will now go to Ahmedabad, take a right turn to avoid Pakistan airspace, head to Muscat and fly to North America over Iran. The route entails an additional time of two hours and will require a fuel stop probably in Sharjah depending on the payload being carried,” said an Air India official. Another two hours for the flight would imply burning extra fuel. It would also involve complexities due to the flight duty timings of the crew. “Air India uses the Boeing 777 and 787 for the Europe and US flights. It burns fuel worth around Rs 7 lakh per hour. So, the new route would translate into an additional expense of Rs 14 lakh,’’ he said. The airline will have to station more crew for the return flight too as they will need an extra day’s rest after longer flight hours. “While as of now we are not cancelling any flight, the commercial department is looking at the viability,” he pointed out. IndiGo and SpiceJet flights to Dubai and Afghanistan will also get longer in order to avoid the Pakistan airspace. Flights to Gulf cities like Dubai and Abu Dhabi will take additional 30 minutes while SpiceJet’s flight to Kabul will take an extra four hours. While tour operators have denied any significant impact on their business so far, they fear that an escalation of tension would possibly hit the inbound tourist flow due to the ongoing tension. “As of now, it is too early to gauge the impact. But if this situation continues and advisories come from foreign countries, inbound tourist flow may get impacted,” said Sharat Dhall, Chief Operating Officer at travel portal Yatra.com. Already, the US and French embassies have issued advisory asking their citizens to avoid Jammu and Kashmir and other border areas.